Havana (AFP) - Spurned for decades by Western powers, Cuba is now taking an ever bigger role in international relations. Havana hosted a historic meeting between the heads of the Catholic and Russian Orthodox churches on Friday. Cuba's President Raul Castro, 84, witnessed their kiss and embrace. Those talks were significant in the context of tension between Cuba's old ally Russia and the West over the conflicts in Syria and Ukraine. The communist state's neutral status under its atheist leader Raul Castro was seen as key to it hosting those talks. Meanwhile for three years Cuba has been hosting peace negotiations to end Latin America's last armed conflict, between the Colombian government and the leftist FARC rebels. Both sides have vowed to sign a peace deal by March 23 to end half a century of conflict. Cuba restored diplomatic relations with the United States last year, and foreign businessmen have been flocking to Cuba since. The 1962 US trade embargo on the island has yet to be lifted, but Cuba's international profile has already risen. 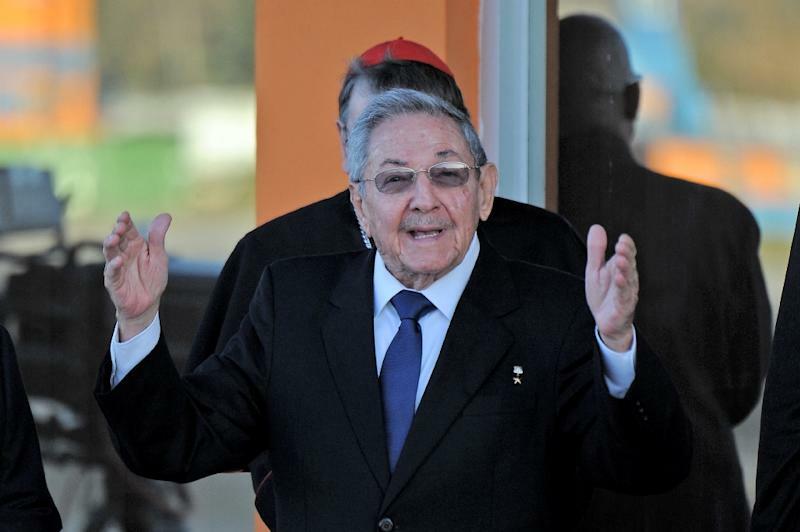 Raul Castro received state honors this month on a visit to France. "From being a state isolated in the western hemisphere, focused on revolutionizing the international system, Cuba has come to enjoy the image of a country in transformation, in cooperation and dialogue with world powers," said Arturo Lopez-Levy, a Cuban political scientist at the University of Texas - Rio Grande Valley. "Various established powers such as the Colombian government and the Vatican want to take advantage of Cuba's credentials with their opponents, such as the FARC or the Kremlin." Raul Castro took over the leadership from his brother Fidel in 2006 and was formally made president in 2008. The Castros are traditional allies of fellow Latin American rebel movements that date back to the 1960s, such as the FARC. Now those ties could pay off for Cuba's image if it plays midwife to a historic peace deal this year. 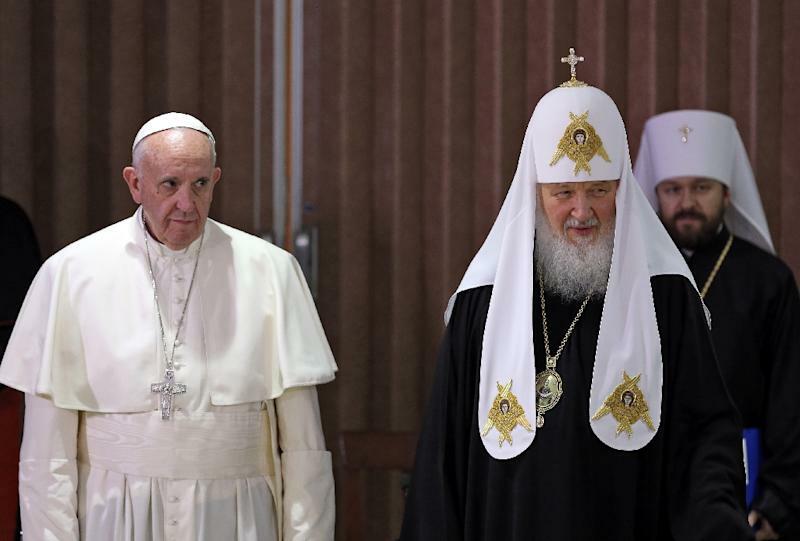 More globally, the encounter between Pope Francis and Russian Orthodox Patriarch Kirill was the first meeting between the heads of their two branches of the church in nearly a thousand years, following the great schism of 1054. The two church leaders in their joint declaration hailed the host country as "a crossroads between north and south, east and west." "If it carries on like this, Cuba will become the capital of unity," said Francis. He himself played a key role in Havana's rapprochement with Washington. International affairs analyst Brian Fonseca of the Jack Gordon Institute in Florida, said Cuba has thus become "the scene of two events of enormous global importance." This will "probably legitimize even more the role of Raul Castro as an intermediary in global affairs." Castro is a self-confessed atheist, and Cuba was an officially atheist state from 1976 before becoming secular in 1992. But Friday's meeting revealed its quiet role in religious affairs that in turn influences global politics. "That is one of the best-kept secrets about the changes in Cuba. The country is no longer the same, and not only economically," said Lopez-Levy. "Its openness has allowed the country to be visited by three popes, the Russian Orthodox Patriarch, top-level Protestant and Muslim leaders and even the chief rabbi of Israel." Ordinary Cubans only wish their country's growing clout in the world would bring them better economic fortunes, said Sebastian Arcos, director of a Cuban studies institute at Florida International University. "We have seen over the past year that as the regime in Havana wins diplomatic successes, the internal reforms get delayed or even go backwards," he said.